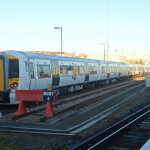 The Brighton mainline was hit by 174 signal failures in the last 15 months, almost three every week. 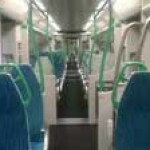 The figures will come as no surprise to Brighton commuters, who rated the Brighton to Bedford Thameslink service the UK’s most unpopular in January. Since then, train operators Southern and Thameslink and Network Rail have put together an action plan to improve services. 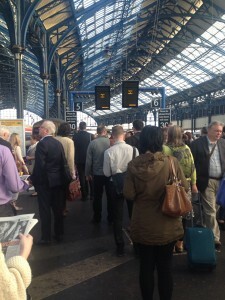 But commuters are still facing signal related delays, with failures leading to significant delays again just yesterday to mark Brighton Station’s 175th birthday. The figures were released as part of a freedom of information request via the What Do They Know website. A Network Rail spokesperson said: “The classification of ‘signal failures’ includes a number of different issues with different sets of equipment, and the headline figure includes everything from momentary problems to those that cause significant delays. “What is more important from a passenger perspective, is not the number of failures themselves, but the impact that they have. “The Brighton mainline and the routes into Victoria and London Bridge are very busy and also include the most congested stretch of railway in the country (near Croydon). “As a result, small problems can have major impacts and we are focussing our attentions on improving the reliability of our assets at crucial locations, such as busy junctions and stations. “A huge amount of work and investment has taken place to improve the reliability of the route, not least the work associated with the £6.5bn Thameslink Programme. A spokesman for Southern said: “Although railway infrastructure failure plays a large part in punctuality performance, it is not responsible alone for the figures. “There are many other variables such as poor weather conditions, trespass on the railway and broken down trains which all play a part. “We are working very closely with Network Rail to improve punctuality on the Brighton Main Line and on other parts of the Southern network. “We’ve published our joint Performance Improvement Plan which is designed to deliver performance benefits across the whole of the Southern network. We are delivering against that and as it evolves, we update and publish every four weeks. A Thameslink spokesperson said: “We are keenly aware that the reliability of signalling and track on the Brighton Mainline has been causing significant issues for our services and our passengers. “The route is one of the most congested in the country and, with the added impact of the work to unclog one of its major bottlenecks at London Bridge, any problem can cause significant delays. “We are working jointly with Network Rail and Southern on an improvement plan to address known issues.